I’m looking for a potential Assistant or Associate Producer who’d be interested in working with an independent producer / exec of a new company producing a programme of performance work for all ages. It would involve working with a few different artists across a number of projects. Perhaps someone who’s interested in starting their own project or company. I’m interested to know what your experience is and what you’d like to learn (tour booking, company management, artist development, producing new work, production administration & management, financing, budgeting and/or finance administration… etc). If we were the right fit for each other then we could potentially apply for the FST’s Producer Bursary (deadline: 28 April). I’m Edinburgh based. We have an office in Leith on Assembly Street (on the ground floor with disabled toilet along the corridor). 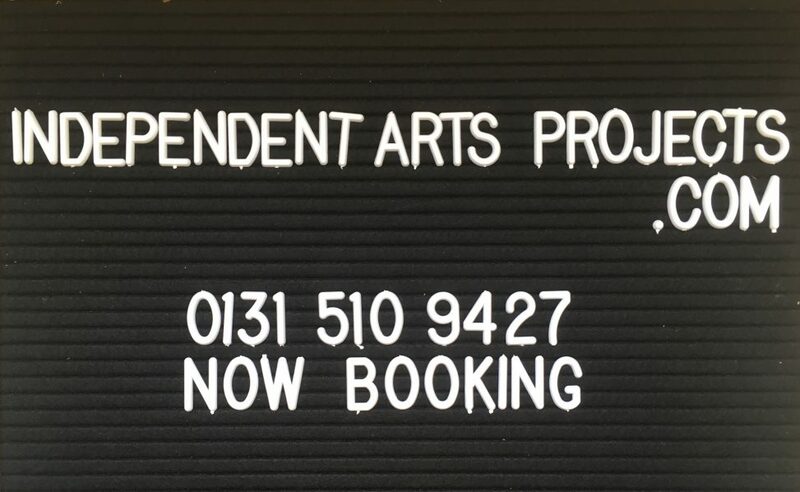 You can read a bit about the company at www.independentartsprojects.com including our very supportive board and our current Assistant Producer – Andrew Jeffrey – who has been such an asset and great guy to work with – his bursary has just come to an end. If you’re interested please email me your CV at mharirobinson@gmail.com and we can arrange a chat. I’m looking for someone who already has some producing experience but would like to develop their skills. Ideally they would work 2 or 2.5 days a week starting in May or June (but this is all flexible and up for discussion with the right person). And ideally they’d be Edinburgh based or happy to work from our wee office in Leith. The programme currently involves 2 x touring fund tours (autumn 2019 & spring 2020), 3 x fringe presentations, and various other works in development for premiere in 2020 and 2021. It will be busy but I like to think it will be exciting and that we pride ourselves on being able to provide a supportive working and learning environment. If you have any questions just ask – ring the office on 0131 510 9427 or email me at the address above.